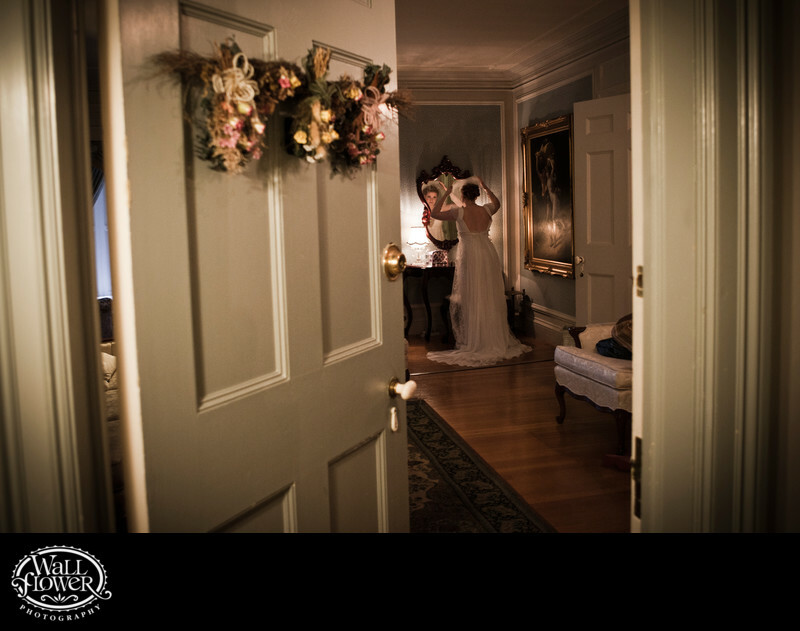 As this bride was nearly finished getting ready in Anna's Suite for her wedding in the Great Hall of Thornewood Castle, I was heading out the door when I took a look back and spotted the bride looking in that beautiful mirror to give her veil one last adjustment. Fortunately, I already had a wide-angle lens on the camera and caught this shot before the moment ended. Seeing it through the partly open door really gives a sense of peeking in on a private moment. I gave the photo something like a rose tint to enhance the vintage feel already provided by the castle's decor and bride's fashion.